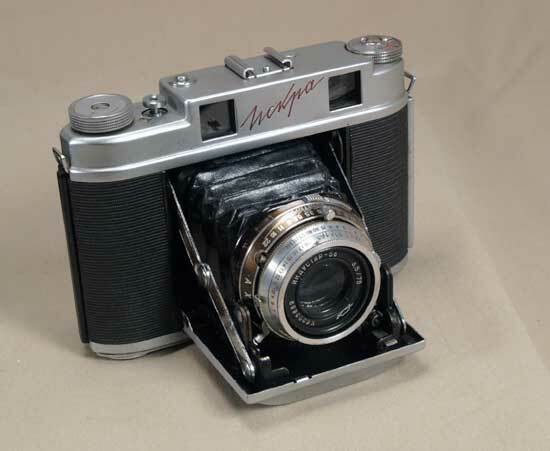 The Iskra (Spark in Russian) is an uncommon and special Soviet made high-class camera. Inspired by the Agfa Super Isolette, this exceptionally made 6x6 folder was manufactured by the KMZ plant from 1960 to 1963 and only 38,722 copies were made. Some claim that the name Iskra was taken after the first Communist newspaper founded by Lenin. Maybe so, but the word "Iskra" is really generic and is no different in this sense from "Sputnik" or "Lubitel". The Iskra was intended for the professional photographer. It is equipped with a high quality four element coated lens and a very bright and clear viewfinder, combined with an extremely accurate coupled rangefinder. Its features include: a flash synch with two settings - X and M, a self-timer, accessory shoe, sturdy cast body and a removable back cover. Shutter speeds - B, 1 to 1/500. Lens: Coated Industar-58, f=75 mm, 1:3.5. The aperture setting ring can be coupled with the shutter setting ring, so the two rings can be turned together to set different speed/aperture combinations for the same exposure number. The camera has a fairly sophisticated film transport mechanism - it senses the end of the paper leader and starts automatically counting frames (12 frames on a standard 1 20 film), engaging a double exposure prevention mechanism after a picture was taken. 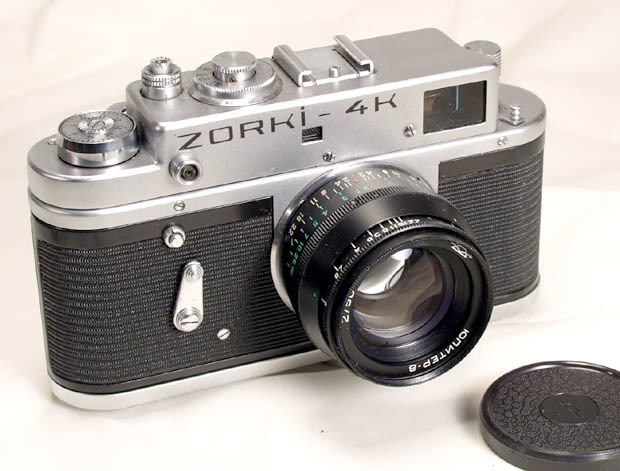 The camera was made in the early 1960's, it is in EXC- condition. The camera shows moderate use and clean overall. 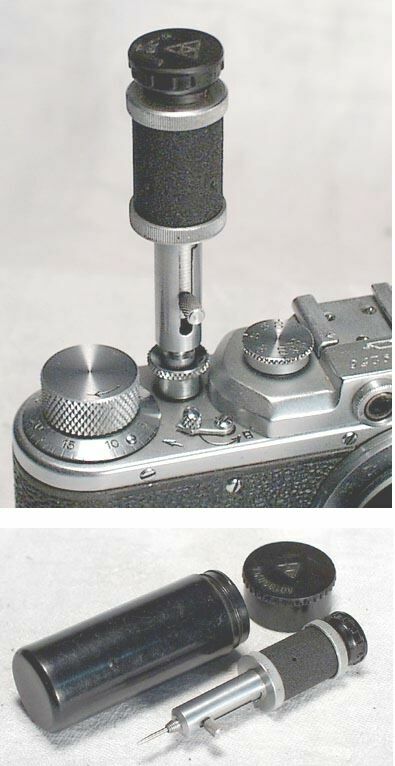 The lens and the RF/VF are clear, the shutter, self-timer and, most importantly, the load/transport mechanism are working. This Iskra is a great user and a nice and uncommon collectible. Iskras, even less than mint samples, are quite hard to find now. 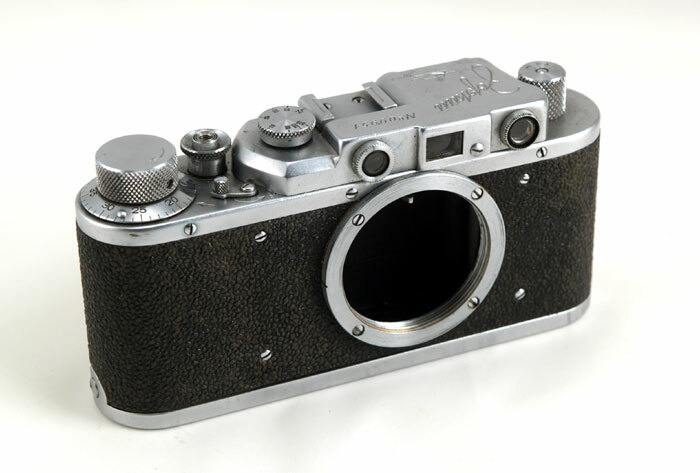 The camera comes with its original leather case (also shows wear, but complete).